Guide to using the KST in Family Sculpture - enlarged, with color photos. Guide's Table of Contents: Theoretical Foundations; Benefits of the Kvebaek Sculpture; Applications: Direct work with Clients; Supervision, Consultation, Research; Getting Started; The Strengths Assessment/Resource Map; The Sociogram Grid; Case Examples, more. 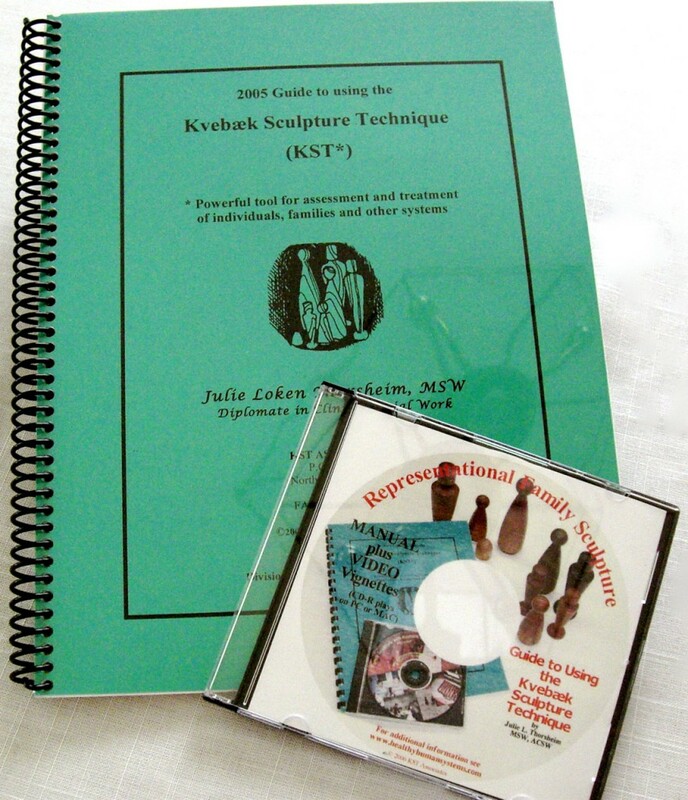 The CD-ROM includes a PDF file of the Guide, plus eight short QuickTime Movies featuring David Kvebaek, Julie Thorsheim, and a Marriage & Family Therapist and a psychologist, who were co-presenters with Thorsheim at a Representational Sculpturing Workshop.